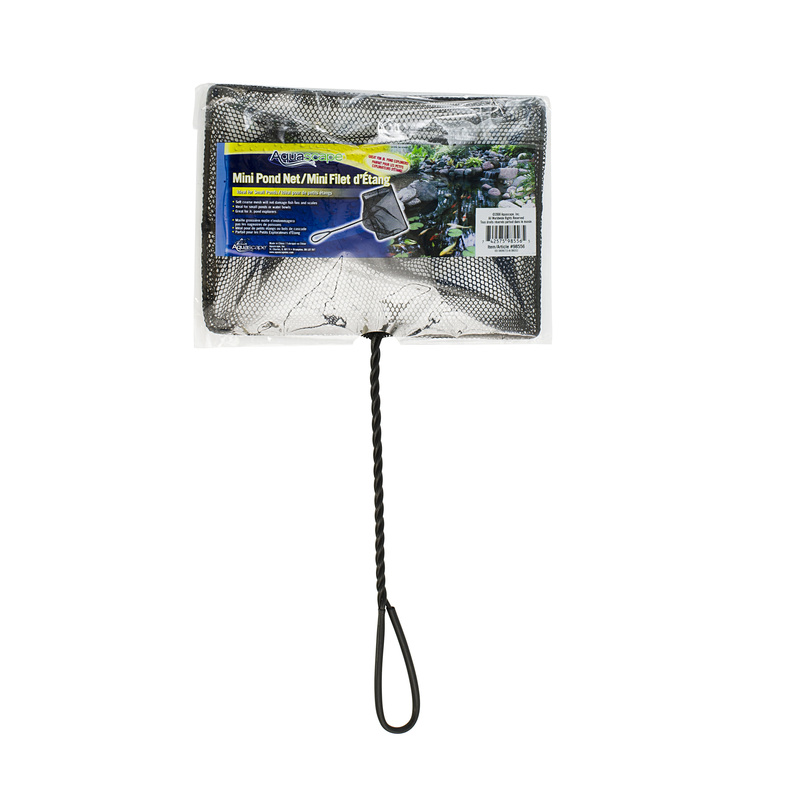 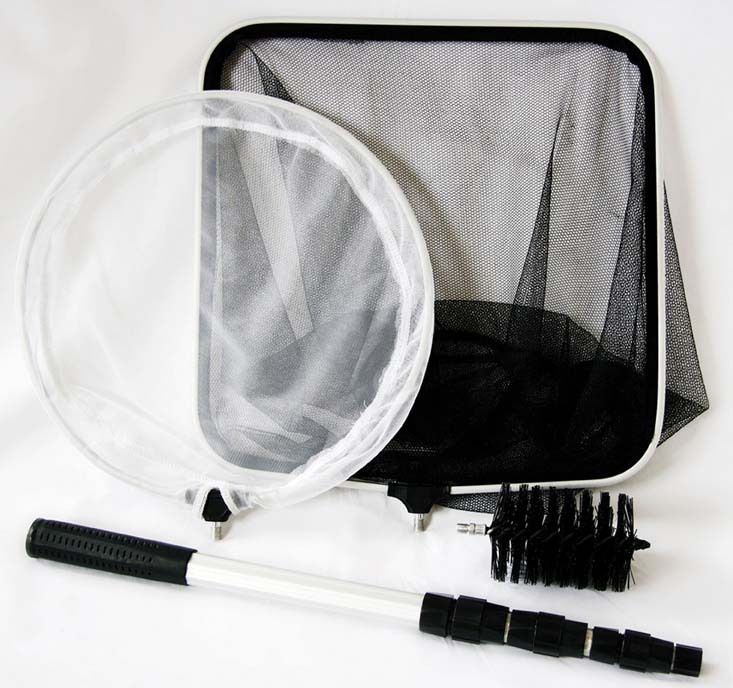 The Aquascape Pond Net with Extendable Handle is ideal for general pond maintenance and handling smaller fish. 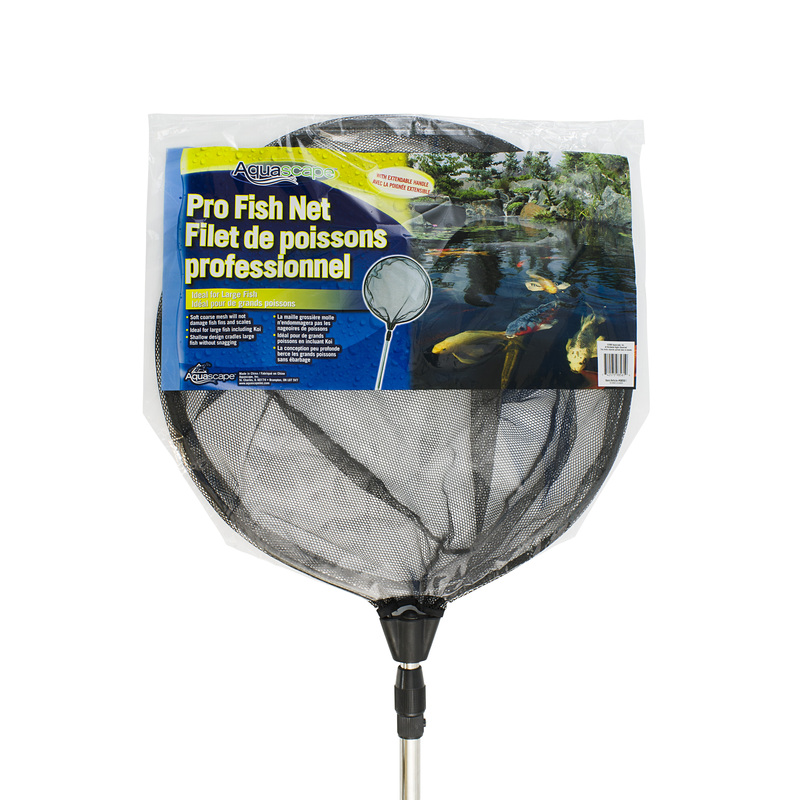 This small 12-inch by 7-inch net is great for use in tight spaces due to its compact design, and it provides a perfect tool for children to lend a helping hand. 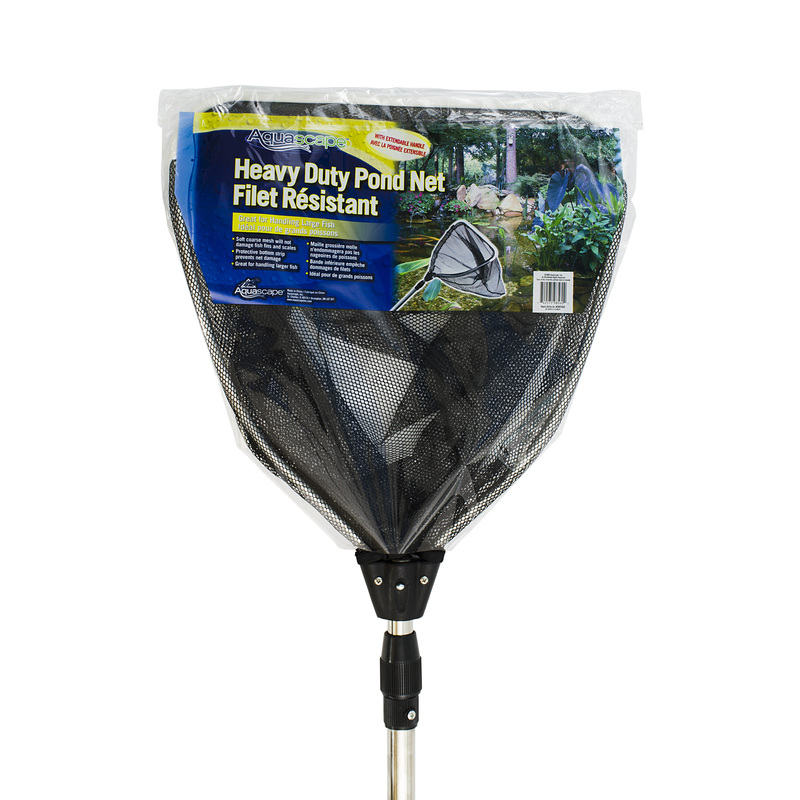 Successful removal of debris significantly cuts down on maintenance and increases water quality. 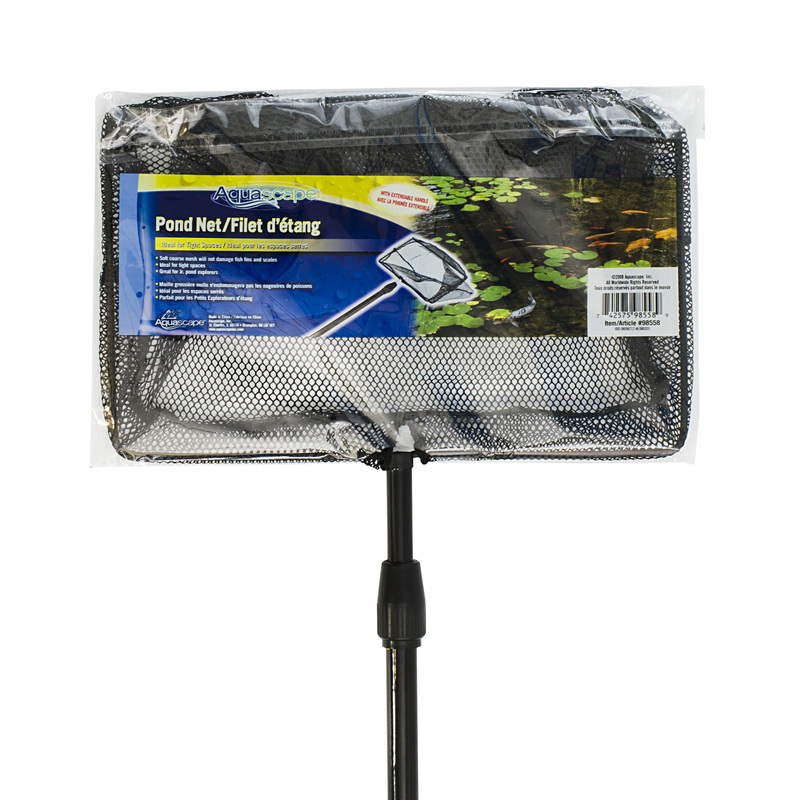 In areas where many skimmer nets may not be able to reach, the extendable handle will make it easy to skim those difficult areas in your pond by extending from 32-inches to 63-inches.